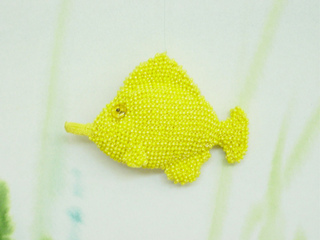 The Yellow Tang is knit in one piece from mouth to tail. 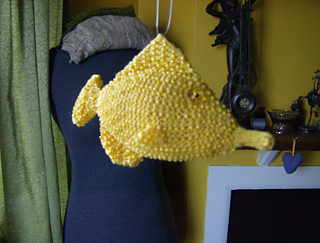 Fins are picked up and knit directly on to the body. Pattern includes Techniques section with instructions for transferring beads to perle cotton, beaded knitting, 3 needle bind off and short rows. 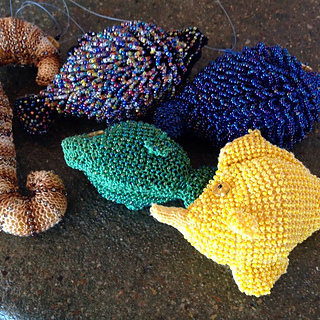 Note: All titles in the Bead Knitted Aquarium Series are also available as kits. Call 877-467-0382 for details. 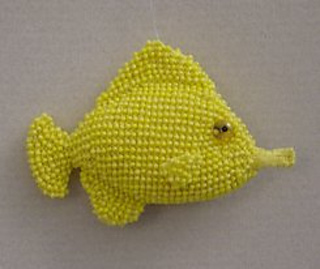 Kits include pattern, perle cotton, seed beads, “fish eyes”, monofilament for hanging or necklace wire and jewelry findings for pendant bags. Kit refills are also available but do not include pattern.